| Enhance your wine tasting experience and elevate the flavor of your wine! Chef Kathleen of 2-Dishes has embarked on a new venture! 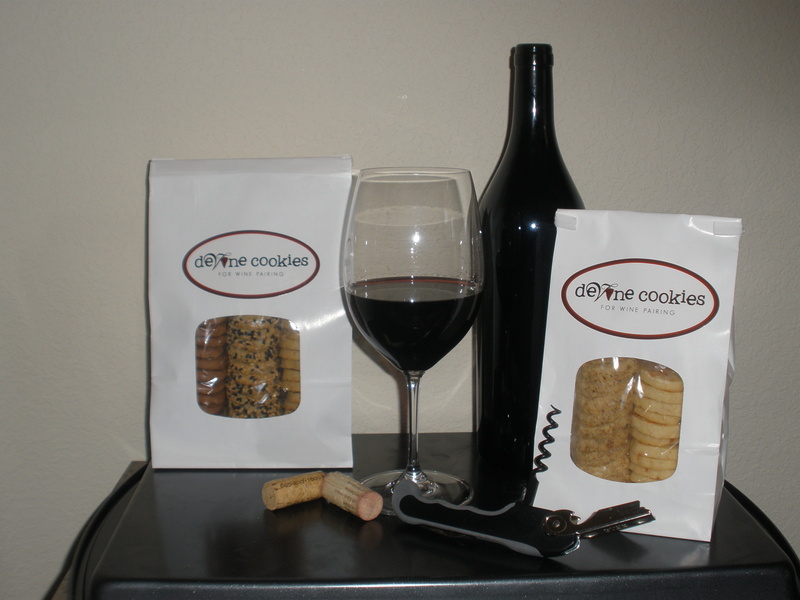 Savory and slightly sweet tasting “cookies” to pair with different varietals of wine. She currently has a selection of 9 tasting cookies that pair with white, rosé or red wines. Chef Kathleen has selected unique gourmet flavors to create winning pairings with the influence of many renowned chefs and sommeliers. You will also find that based on the specific grape or combination of grapes in a particular wine, each cookie pairs well with a multitude of different types of wine.